Want to make the kids work for their chocolate eggs this year? 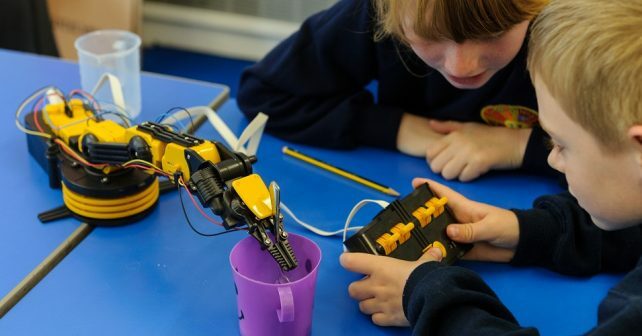 Then bunny hop down to the Robotics Easter challenge at the newly refurbished National Army Museum which is reopening its doors this weekend. The FREE exhibition is a hands on (literally) and child-friendly display showing how the army uses technology in its day-to-day tasks. Little ones are given three missions to master including using a robotic arm to collect festive eggs and – for the super talented – using it to create pictures. If that won’t keep the kids entertained nothing will! The museum is running five 45-minute Robotic sessions each day over the Easter break.